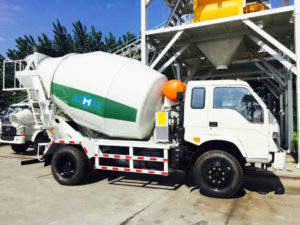 Self loading concrete mixer truck for sale can achieve self loading, metering, automatically add water to stir, conveying and discharging, and can finish the delivery and site construction work, which greatly improve the productivity, reduce the production time and cost. 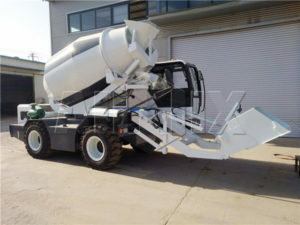 What’s more, this self loading concrete mixer truck sale is suitable for engineering constructions of a variety of special conditions, crowded city and remote areas. It can work without power supply, because the whole machine will supply sustainable power source. iN addition, it uses drum stirring system, so it has good uniformity. Our truck is like a combination of present concrete agitators for sale, and concrete batching plants. In some special construction projects, which is far away from commercial concrete batching plant, such as, maintenance of concrete pavement road, bridge tunnel construction, township level highway construction, construction of defense facilities, high speed railway construction, maintenance of plant or building floor construction, etc, it will be equipped with on-board lighting system, and can achieve 24 hours’ construction work and improve the working efficiency. 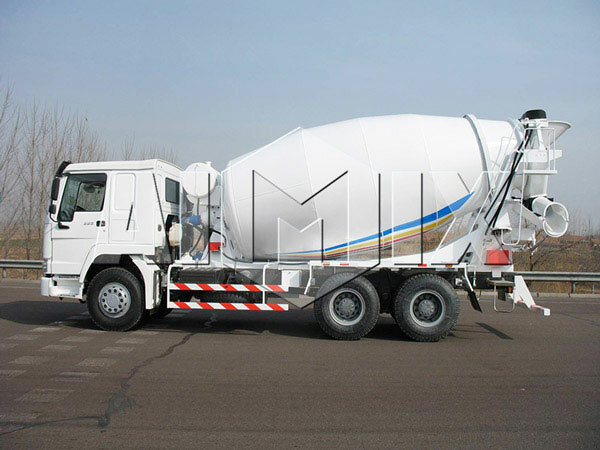 In addition, as one of the most reliable self loading concrete mixer suppliers, we will offer users the best solution of concrete mixing, delivering and placing. 5. One year warranty and spare parts supply. 1. 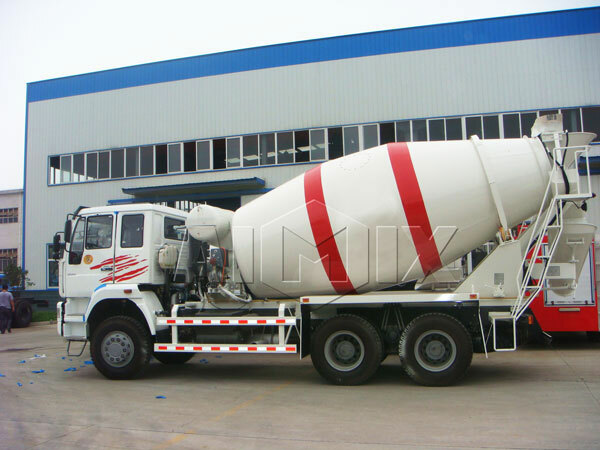 Self loading concrete mixer truck for sale is equal to four. 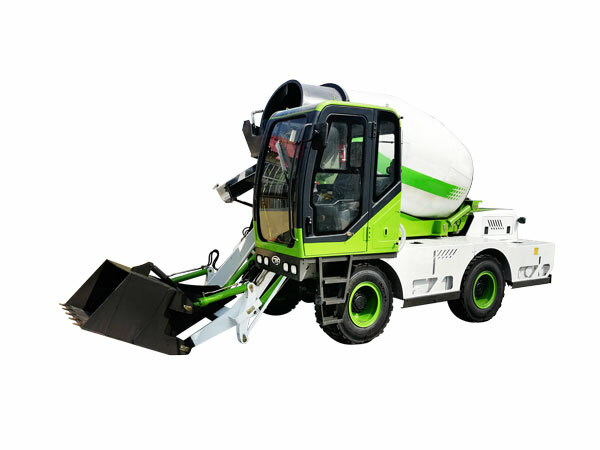 Self loading mobile concrete mixers can replace electric generator, materials mover, wheel loader and concrete mixer. It can stir while move, about 1 to 2 minutes, concrete mixture will be finished evenly. Meanwhile, it can make the mixing cylinder rotate about 90 degrees left and right, and discharge from different angles, which displaces the traditional mixing method and saves the equipment cost. 2. Automatic mixing system. When aggregate and cement enter into the mixing cylinder, and mix with water flow in the water tank, special “T” type twin screw ensure the quality of concrete(if necessary, can equip with an electronic weighing system. ) 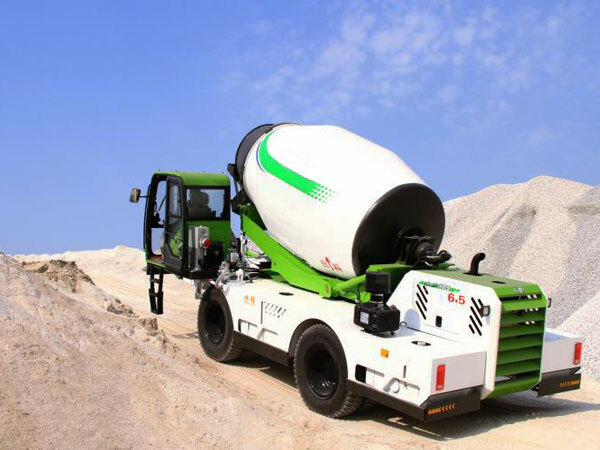 Mixing speed is fast, one hopper per minute, in addition, mix when move on the road, which will save much time, when finish the feeding, operator can directly drive to the discharge area, in the process of driving, the concrete will be produced. 3. Automatic feeding system. 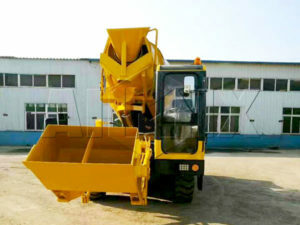 Our self loading concrete mixer trucks use unique hinged hydraulic shovel, which can load the dosing accurately; blades inside the bucket can automatically cut off the cement bag and in case of the waste of raw materials; all dosing can enter into the mixing cylinder from the bucket smoothly and quickly. 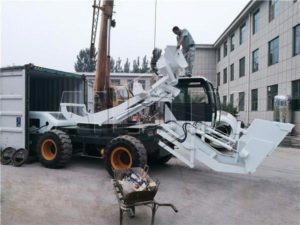 This way replaces traditional feeding method, on the one hand, saves the cost of buying wheel loader, on the other hand, reduce the environmental pollution and can achieve maximum use of materials area. Feeding time is faster and feeding accuracy is more exact. 4. Automatic discharge system. Because our self loader mobile mixers have high mobility, when it discharges, it also can move freely, easy discharge method, fast discharge speed, and only an operating rod can achieve materials discharging. 5. Easy movement. 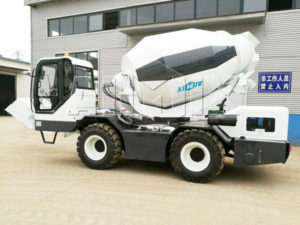 This truck machine is fit for delivery in any construction sites. Four wheel-drive hydraulic transmission device and good configuration make it crawl on a 30% slope under the condition of full load. 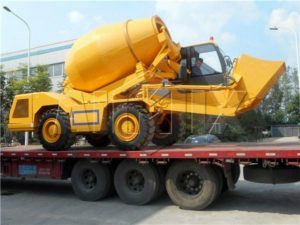 Self loading cement mixer is equipped with center of gravity transfer system, the center of gravity can be moved back and forth, which can effectively increase the overall security. 6. Comfortable operating environment. This machine is equipped with fully equipped cab, an operating lever designed according to ergonomic principles, for its simple operation design, operator can immediately learn all the major operations. Air conditioning system make this machine can work in a high temperature environment. 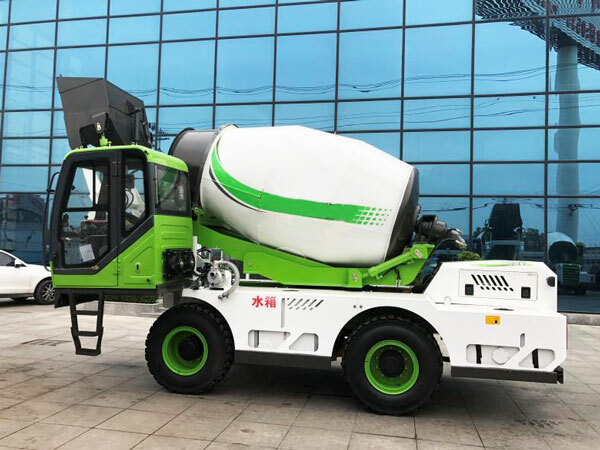 What’s more, self loading transit mixer is equipped with anti-roll, anti-falling protection system in order that under the poor construction environment, will provide drivers with sufficient protection. 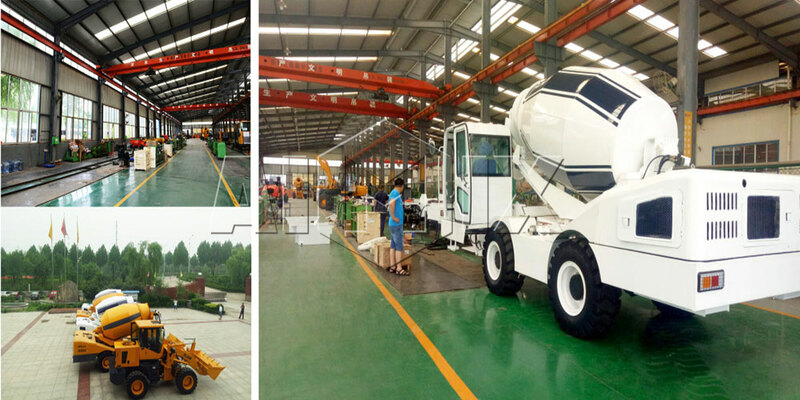 As you can see from the picture above, our self loading concrete mixer trucks for sale have been exported to many countries, such as, The United States, Nigeria, South Africa, Indonesia, Algeria, Uganda, Kenya, Pakistan, etc. 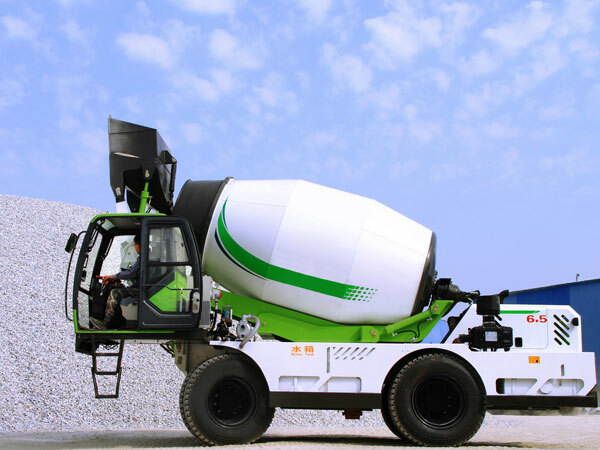 You can get idea from it, our self loading concrete truck mixer has advantages of high praises and stable performance. Moreover, we have office in Pakistan, address is: No.100,Street 7, G-15/3,Islamabad. 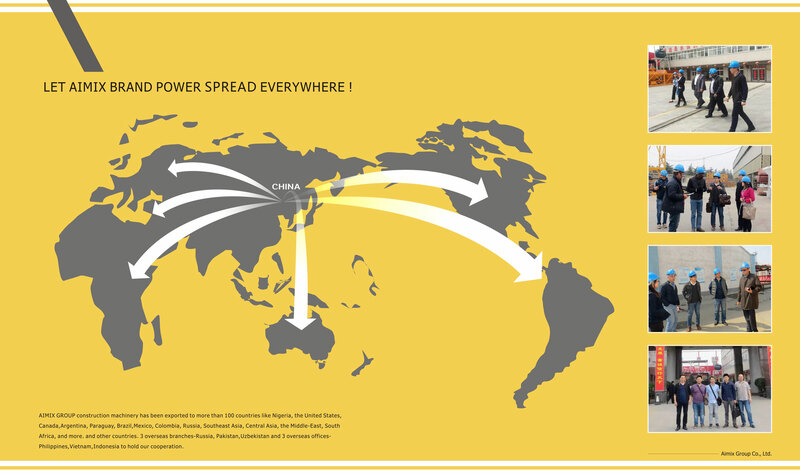 Our sales manager is always there, deal with old customers and look for new customers, not only english country, we also have Russia customers, our another sales manager is also always in Uzbekistan. 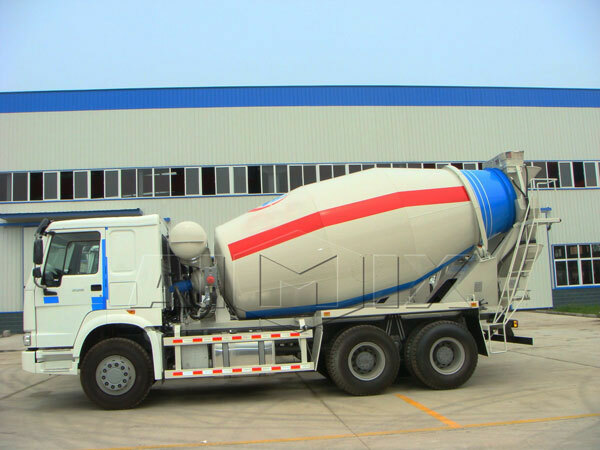 In word, our self loading concrete mixer for sale is going to all around the world, and we aim to let our self loading conrete mixer at every corner of the world! 1. It can rotate 270 degrees. 12. 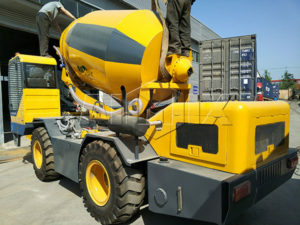 Self batching concrete truck is equipped with high power air compressor, application of high quality line, implementation of new sealing process ensure faster air inflation and response time. 1. The cab is at the center of this equipment, the gaze of he operator is higher than mixing cylinder, therefore, the sight line on the left, right and the front are very good, there is absolutely no visual blind area and lead to safety accidents such as furrow. 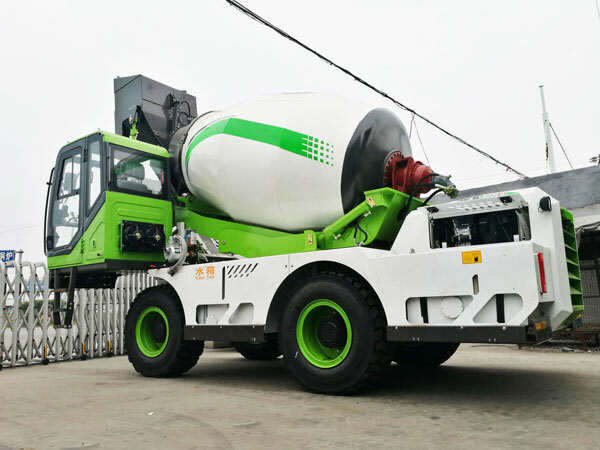 Furthermore, this kind of design of structure and position in cab, center gravity of the equipment is always at the center of the device, which ensure the stability of concrete mixer self loading during the process of construction mixing and movement mixing. On the contrary, some trucks on the market now there will be obvious jitter and deviation from the center of gravity in the process of movement, thus, mixing quality and construction safety can’t be protected well. 2. Compared to other brand equipment, under the premise of same size of the whole machine, chassis wheelbase is short, this design can achieve quick turn around on a narrower surface, otherwise, if the chassis system with a long wheelbase, it is almost impossible to turn around. 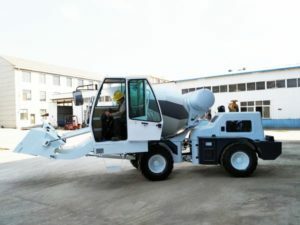 In a word, we have many models of selfloading concrete mixers, welcome to contact us or visit our factory and company as soon as possible, we will serve you sincerely and a best self loading concrete mixer truck price is waiting for you!